Ron Howard directed the movie from a script by Lawrence and Jon Kasdan. Donald Glover, Emilia Clarke, Thandie Newton, Woody Harrelson, Paul Bettany, Jon Favreau, Warwick Davis, Clint Howard and Phoebe Waller-Bridge also star. 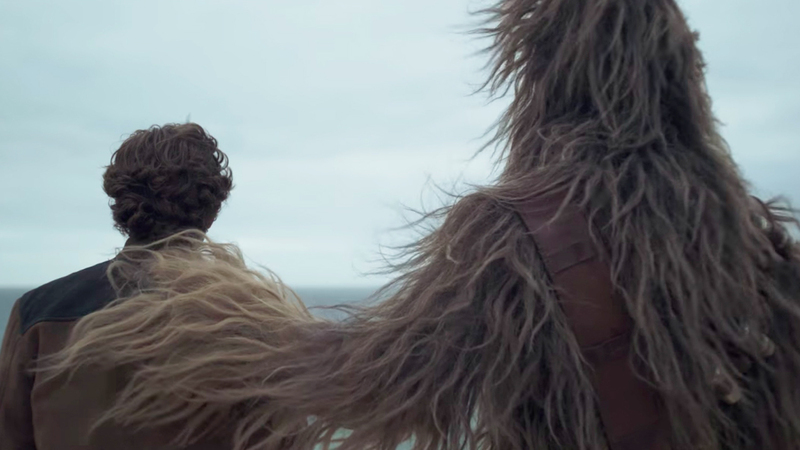 Solo: A Star Wars Story opens in theaters on May 25th. I see what you did there with the Harry Met Sally title. This looks better and better. Seeing it in the theater definitely.